(f) it complies with such conditions as may be prescribed. (3) The bonus shares shall not be issued in lieu of dividend. 1. 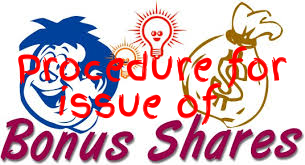 Check whether the Article of Association authorizes issue of bonus share. 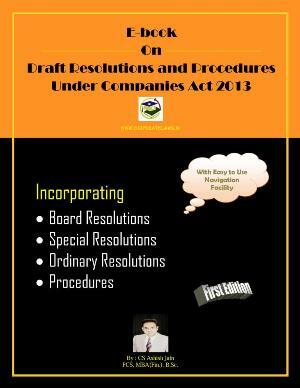 If not, then amend the Articles of Association of the company by passing the Special Resolution. 2. Check whether the Bonus issue results in increase of authorized capital. If so, make necessary alterations in the Memorandum/Articles of Association by passing special Resolution. · To Pass Board Resolution for issue of shares. · To Decide the Ration of Shares offering to share holders. · To Fix the date, time, and venue of the general meeting and to authorize to send the notice for the same to the members. 5. Ensure that bonus issue has been made out of free reserves built out of the genuine profits or securities premium or capital redemption reserve account. 6. Ensure that reserves created by revaluation of assets are not capitalized. 7. Ensure that the company has not defaulted in payment of interest or principal in respect of fixed deposits and or debt securities issued by it or in respect of the payment of statutory dues of the employees such as contribution to provident fund, gratuity, bonus etc. 8. Ensure that the bonus issue is not made in lieu of dividend. 9. The company which has once announced the decision of its Board recommending a bonus issue shall not subsequently withdraw the same. 10. If there are any partly paid-up shares, ensure that these are made fully paid-up before the bonus issue is recommended by the Board of directors. 11. Hold the general meeting and get the resolution/s for issue of bonus shares passed by the members. 12. Within 30 days of allotment of bonus shares file with the registrar the Return of allotment in Form PAS-3 along with fee as specified in companies (registration of offices and fees), Rules 2014. 13. All share certificates shall be delivered to the shareholders within two months from the date of allotment of bonus issue as required under section 56 (4). 14. 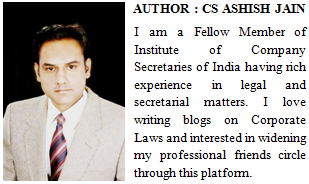 Intimate the details of allotment of shares to the Depository immediately on allotment of such shares. 15. In case of listed companies, the conditions prescribed under listing agreement and chapter IX of SEBI (ICDR) Regulation 2009 is to be complied with.